42 of your favorite Green Day songs pressed on twenty one 7" vinyl records! Get the ultimate fan collector's piece featuring 'Going to Pasalacqua', '2000 Light Years', '86' and 'JAR 'and nine number 1 hits including 'Longview', 'Good Riddance (Time of Your Life)' and 'American Idiot'. The Green Day Ultimate Collector's Singles Box Set is an uber limited edition of 2,500 copies, superbly presented in a sealed embossed/spot-lacquered deluxe box, with bonus poster! 42 of your favorite Green Day songs pressed on twenty one 7" vinyl records! Get the ultimate fan collector's piece featuring 'Going to Pasalacqua', '2000 Light Years', '86' and 'JAR 'and nine number 1 hits including 'Longview', 'Good Riddance (Time of Your Life)' and 'American Idiot'. 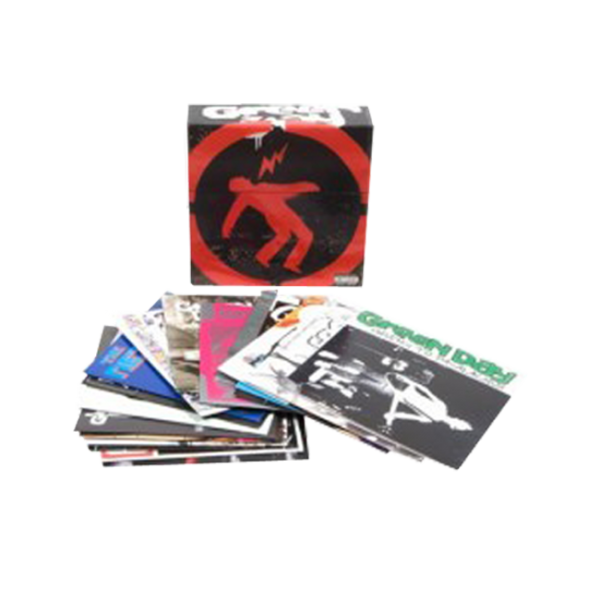 The Green Day Ultimate Collector's Singles Box Set is an uber limited edition of 2,500 copies, superbly presented in a sealed embossed/spot-lacquered deluxe box, with bonus poster! 2-A2 Why Do You Want Him?